We at Tribe Interactive hope that all of you out there had a safe, wonderful Thanksgiving yesterday, packed with food, family, friends, and football! In this edition of our Ecommerce Marketing and Growth Strategy Round-Up, we’re featuring a couple of Black Friday posts from InternetRetailer.com and InternetRetailing.net, some tips to creating successful holiday promotions without deep pricing cuts from WooThemes, and our latest infographic at Tribe comparing the top 3 Ecommerce platforms in the game: WooCommerce, Shopify, and Magento. Enjoy! By Tracy Maple – During the first 11 hours of the day today (Friday, 11/27), Ecommerce spending reached $822 million. 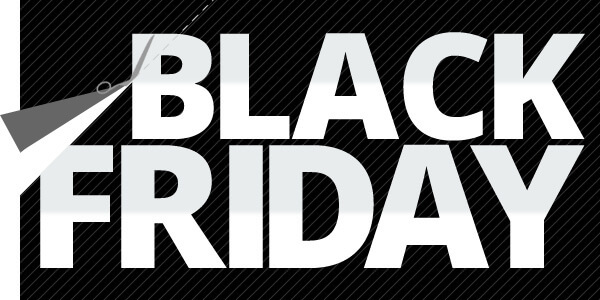 The projected online spending for Black Friday 2015 is now at $2.6 billion, which is lower than originally estimated, but still 15% greater than online Black Friday spending last year. Maple’s article notes that purchases from smartphones and tablets has accounted for 37% of online Black Friday spending so far, which is pretty much inline with the surge in mobile that the web is experiencing as a whole. It will certainly be interesting to see how things finish up today in terms of total Ecommerce spend, and what we might expect for Cyber Monday this year as well. By Ian Jindal – As you might expect, the largest online retailers put a lot of effort into their approach to Black Friday / Cyber Monday each year. Part of that effort normally involves a customized look and feel to their homepages for the during of the Thanksgiving holiday weekend. This year, Ian Jindal has examined the homepages of the top 25 UK Ecommerce retailers, including Amazon, Argos, Tesco, and Toys R Us. Take a look at Jindal’s article and see if you can pull an useful ideas to implement for Cyber Monday, Christmas, or even Black Friday 2016. By Nicole Kohler – Promotions, sales, discounts, and giveaways are found anywhere and everywhere during the holidays. Online shoppers are actively hunting fort the best deals, and Ecommerce retailers who best meet those demands stand to gain the most in terms of revenue. But how can Ecommerce retailers attract online holiday shoppers with enticing sales and promotions without slashing their prices to the bone? Luckily, Nicole Kohler has some ideas! As Kohler mentions in her article, “The holiday promotion that is the best fit for your store and your customers could be as simple as free shipping, or as affordable as a few dollars off a purchase over a certain amount.” Check out her full article for some creative ways to offer deals to online shoppers without killing your profit in the process. By Zac Heisey – Selecting the right Ecommerce platform for your online store can be a daunting task, especially given the amount of options available today. To help take some of the guesswork out of the selection process, we’ve broken down the top three Ecommerce platforms in terms of percentage of use. 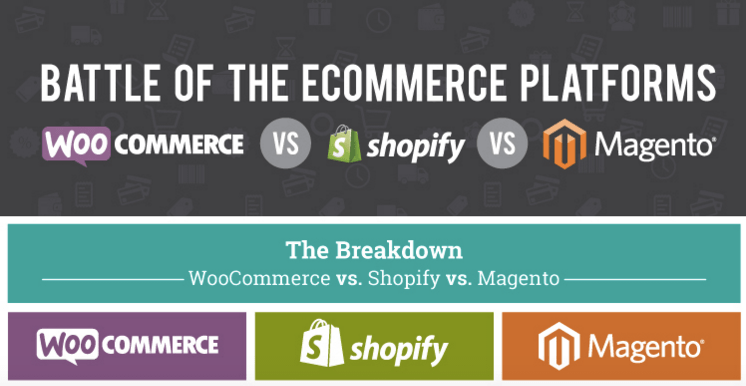 In our latest infographic, we compare WooCommerce, Shopify, and Magento, examining things like usage numbers, historical background, benefits, and drawbacks. If you’re considering building a store using any one of these three platforms, you should definitely review our infographic! If you have any Ecommerce marketing or online growth content that you think would be a good fit for our next weekly round-up, please feel free to get in touch with us. We’d love to hear what you have to say. Thanks!